Nizhny Novgorod youth choir is a unique project of Balakirev Nizhny Novgorod musical college unifying different higher and secondary schools of Nizhny Novgorod, Arzamas, Dzerzhinsk, Bogorodsk. 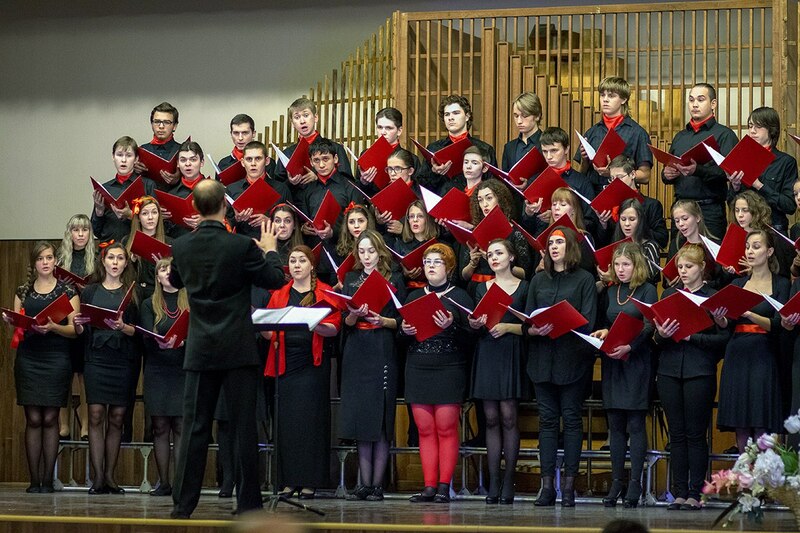 The choir first gathered in September, 2015 for participation in “Victory’s fanfares” festival Gala-concert at Minina square, then there were concerts dedicated to People’s unity day at Balakirev Nizhny Novgorod Medical University and “Unity” festival. Main goal of the collective is to bring together talented young people of Nizhny Novgorod region from different schools to share experiences and promote choral singing among the students. Maksim Ivanov graduated from Glinka Nizhny Novgorod State Conservatoire in 2012 from professor V. Kurzhavsky class, post-graduate course in 2014 at professor E. Fertelmeister class. He was working as a choirmaster of Dobrolyubov Nizhny Novgorod State Linguistic University, as an art director and main conductor of Tchaikovsky Izhevsk municipal chamber choir (2012-2013). Maksim was an initiator of Youth chamber choir “Movement” creation (2008-2010) and Nizhny Novgorod lecturers’ choir (2013-2015). Nowadays he’s a lecturer of Balakirev Nizhny Novgorod musical college.